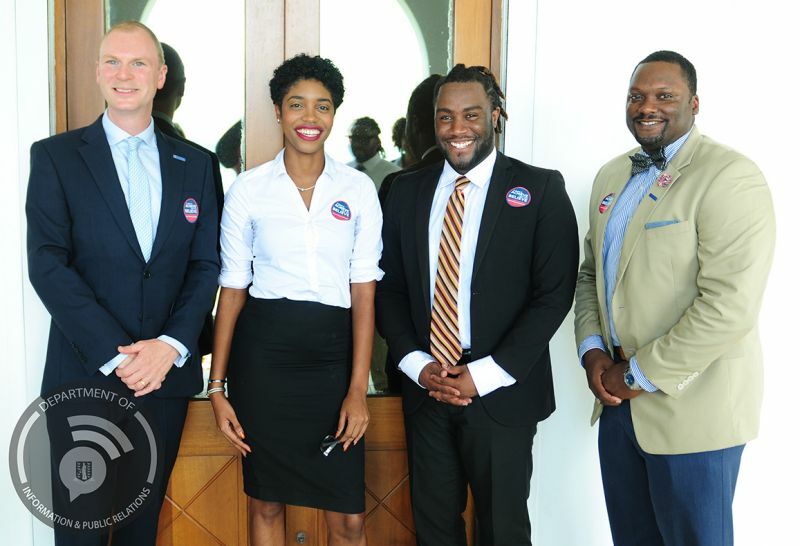 The duo were presented with their award at a ceremony held on August 28, 2018, by His Excellency the Governor Augustus J. U. Jaspert and Deputy Governor David D. Archer Jr, at the Governors’ residence in the presence of family, friends and Chevening Alumni. The award offers full financial support for future leaders to study for any eligible master’s degree at any university in the United Kingdom. Chevening Scholarships are awarded to individuals with demonstrable leadership potential who also have strong academic backgrounds. Both Ms Smith and Mr Creque will be pursuing master’s degrees in Law. Good Luck and God bless both of you. Yaaasss. Always continue to do your very best. Congrats. Be brave. send me a box of bon bons. Congratulations to you both. God's speed! So when ms Smith goin be on Young Professional vino! ?